"There should be an app for that," said anybody trying to find a dogsitter before their impromptu weekend trip. There is, and we found it, along with 23 other apps to help make your next trip easier, tech-ier, and a lot more fun. After hours and hours spent researching car-share options, listening to audio tours, and testing multiple flight and hotel deal-finders, we're pleased to present 24 Best Travel Apps. So get to it: Browse, download, add a some new entries to the "Gentedimontagna Travel Apps" folder on your phone. (What? That's not what you call it?) Even if you collect them all, you'll still have room in your suitcase for another bottle of wine. 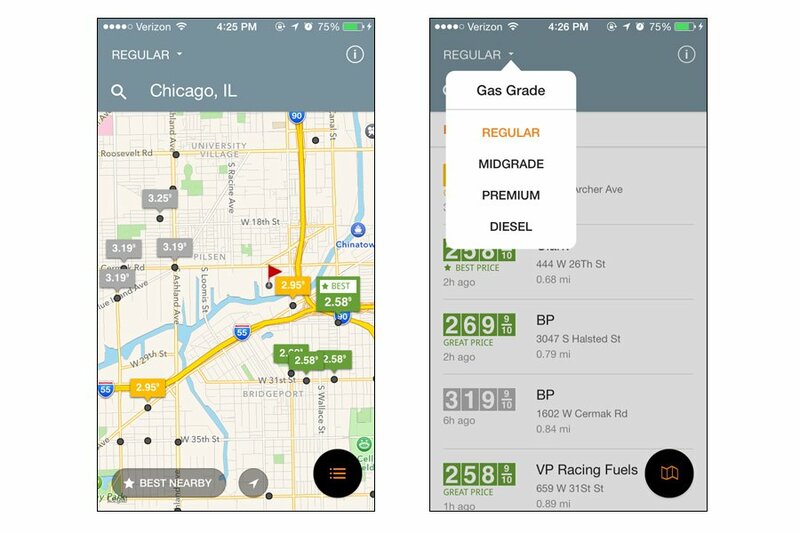 What's to love: Where's the cheapest gas station? It's a simple question, and Gas Guru has a simple solution. Enter your location and scroll the list of stations, addresses, distances, and prices. Rates in green are "great," yellow are "good," and the rest are grey. There's also a view-by-map option, which is handy in places where you don't know street names. 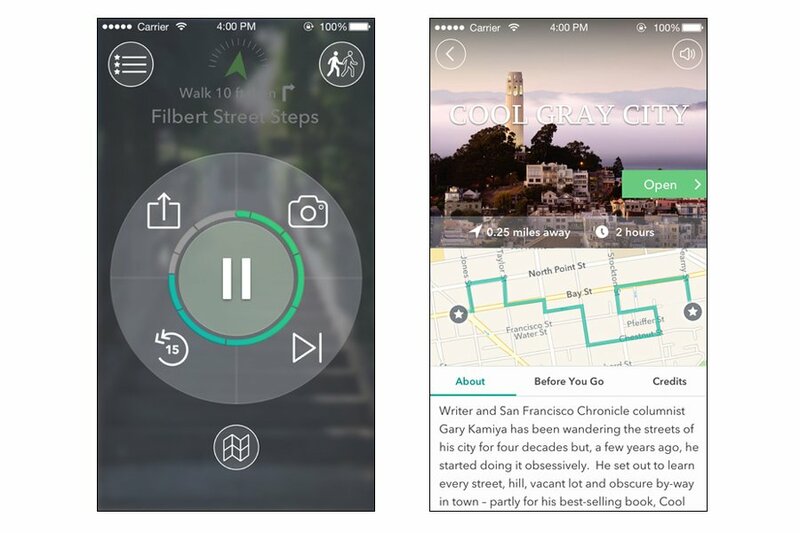 What's to love: A well organized and nicely written alternative take on city guides, we like these apps so much that we've featured them before. 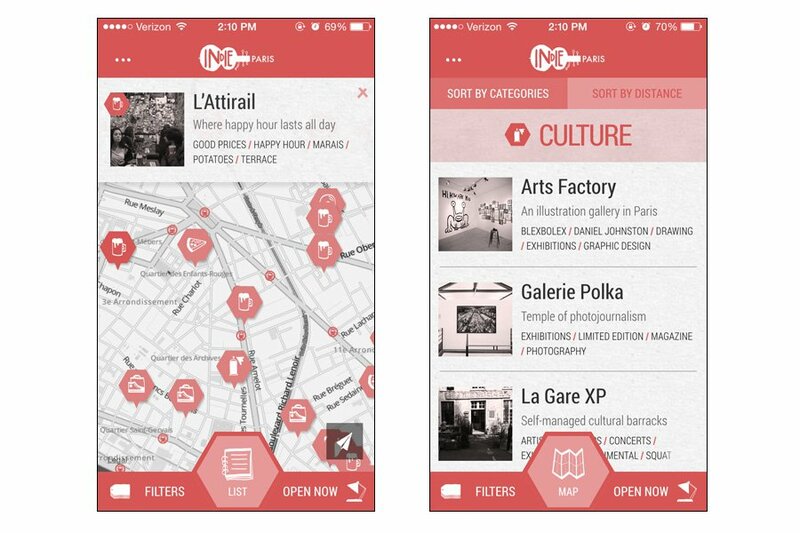 Created by a couple in Paris and written by artsy-minded locals on the ground, the city-specific apps (ten so far, primarily in Europe) cover culture, shopping, dining, bars. What's to love: We don't know about you, but we feel pretty badass getting iPhone notifications from NASA. 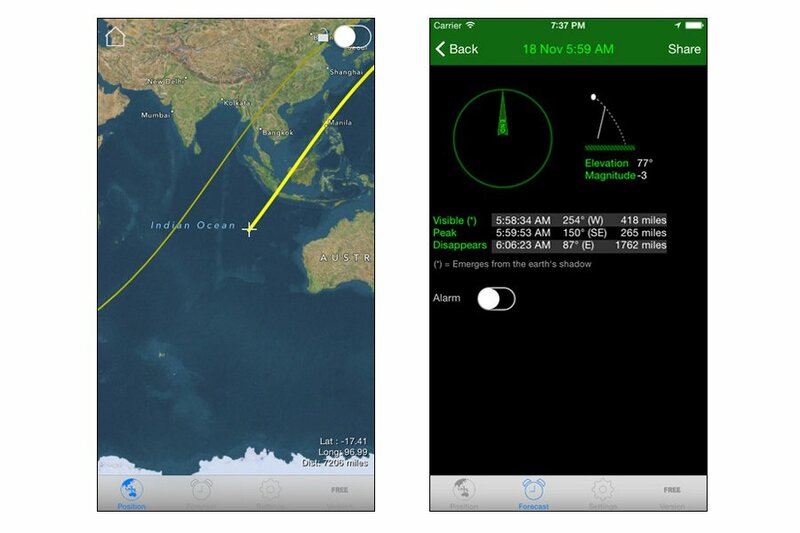 This very accurate and simple to use app lets you know when the International Space Station (ISS) will be passing overhead, so that you can know exactly when to look up and wave. What's to Love: Gain new perspective while traveling at your own pace with location-aware audio tours. Topics range from the Black Panthers' Santa Fe neighborhood in North Oakland to the voices of the medina in Marrakech. Each tour comes with a helpful list of tips, including optimal times to travel and small snacks to purchase along the way. Current cities include Austin, New York, San Francisco, Barcelona, Berlin, London, Marrakech, and Paris. What's to love: You're in Yellowstone. You are driving around. You have no idea what you are looking at. 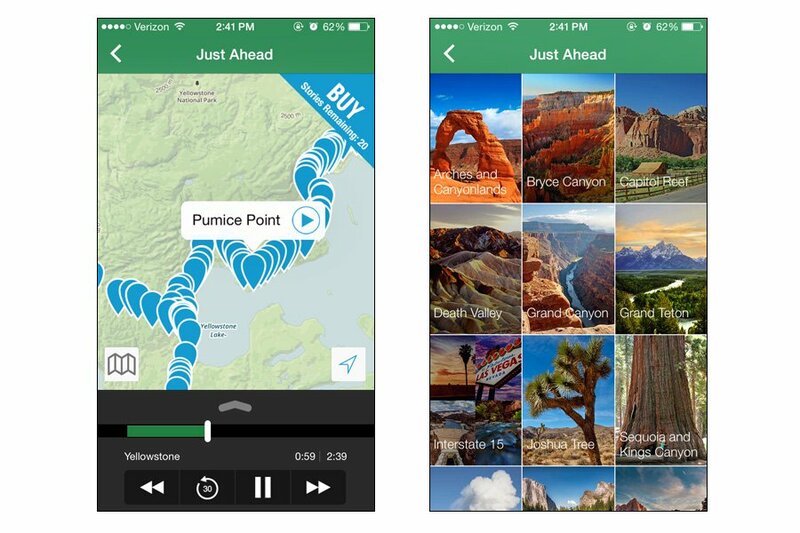 Just Ahead acts as a GPS-triggered audio guide for National Parks in America. No need for internet (you can just use it as an audio guide), though when you have it, you can access maps related to your location. What's to love: Here's one for the OCD packer for whom no hand-written list will ever be good enough. 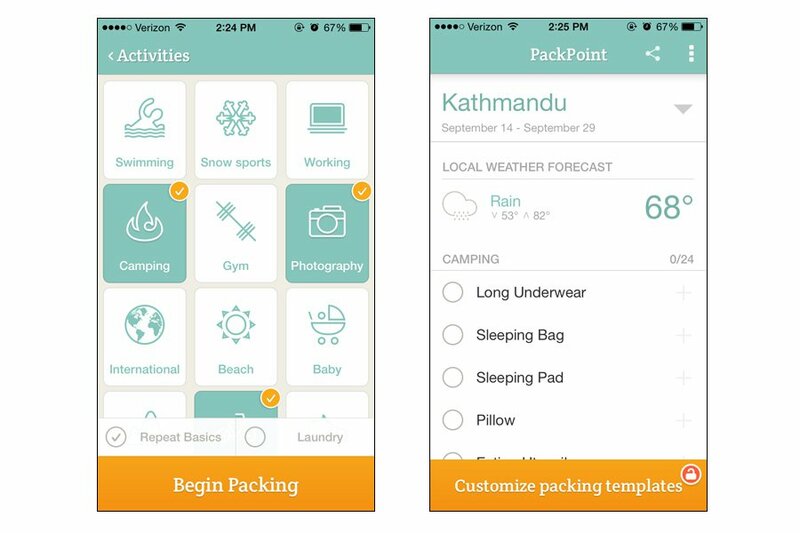 You enter your trip details — length, date, activities (hiking, baby, photography, beach, work) — and the app prompts you with a list of what you'll need, which includes activity-specific items (tripod and memory cards for photography, VPN keyfob for work, handheld GPS for hiking), essentials, and toiletries. Save what you want and, voilà, you have a custom packing list. What's to love: Make packing lists, doodle when you're sitting at a cafe or stuck in transit, draw directions on a screenshot of a map, highlight details within a photo. Sync all your notes online. 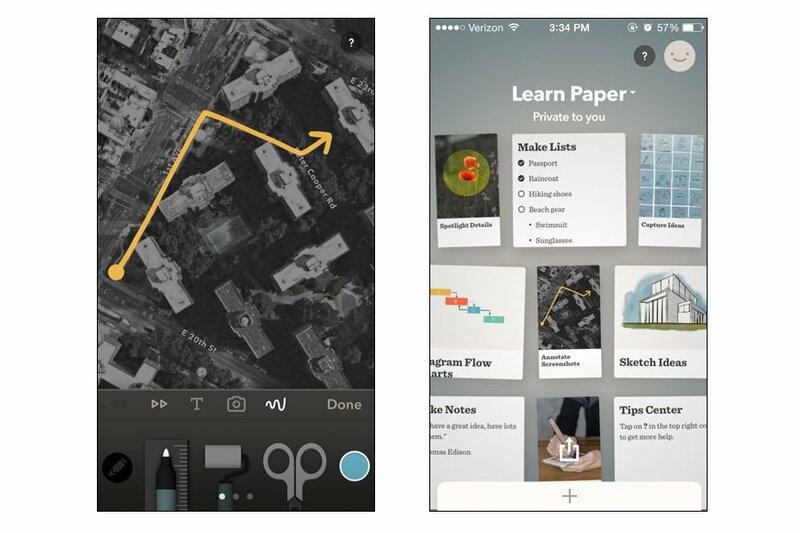 Paper is a modern-day scrapbook for you to remember trips and plan your next one. 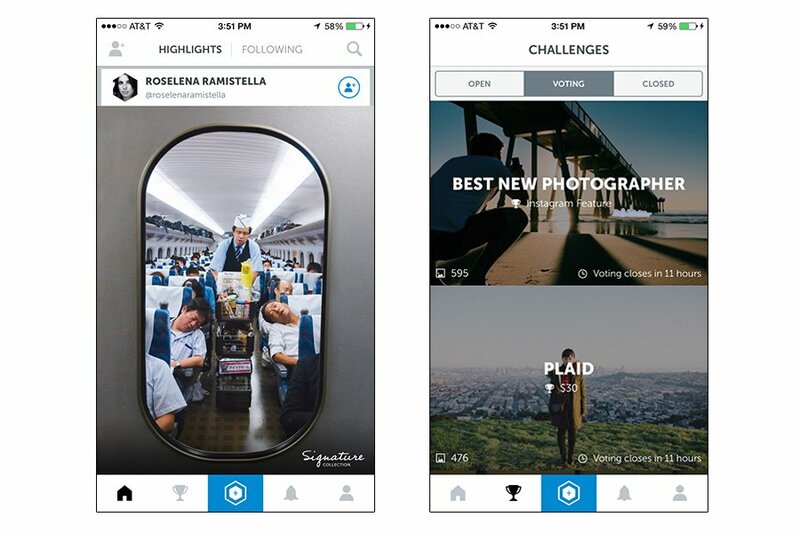 What's to love: Calling all aspiring pro-Instagrammers! 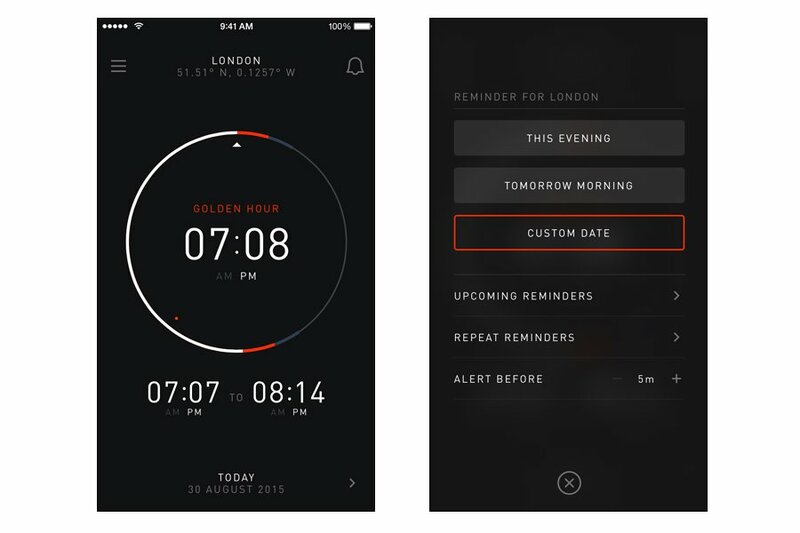 Rizon helps track the best time to capture natural light outdoors. 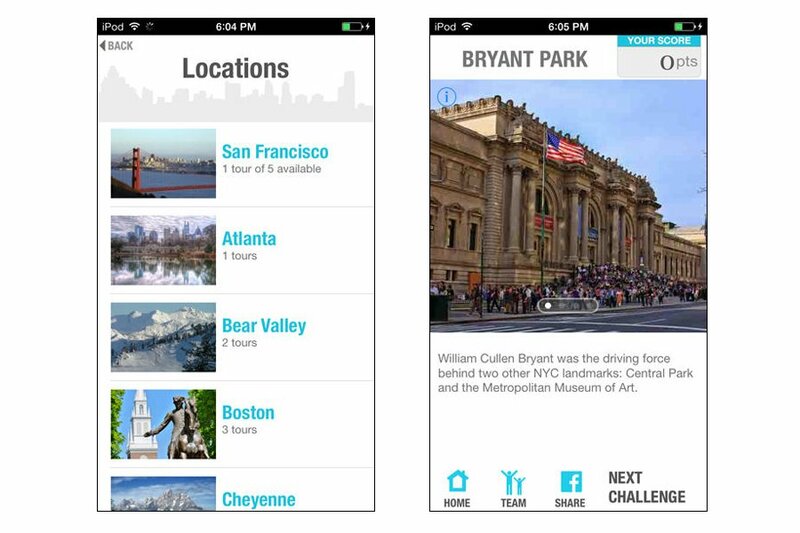 Plan ahead using custom locations or set a daily reminder in your hometown to motivate you to explore your own backyard. What's to love: Part city tour, part scavenger hunt, and a great way for traveling families to add elements of trivia, photography, and discovery quests as they explore cities on foot. Highlights include both touristy and under-appreciated landmarks, buildings, and public spaces, keeping things interesting even for those familiar with the destination. What's to love: You made it to Seoul after a six-hour layover in LA and you're too wired/exhausted/confused to fall asleep. Would the pitter-patter of falling rain help? The sound of a roaring fire, the Amazon jungle, blowing wind, ocean waves, or just a gentle motorized hum? 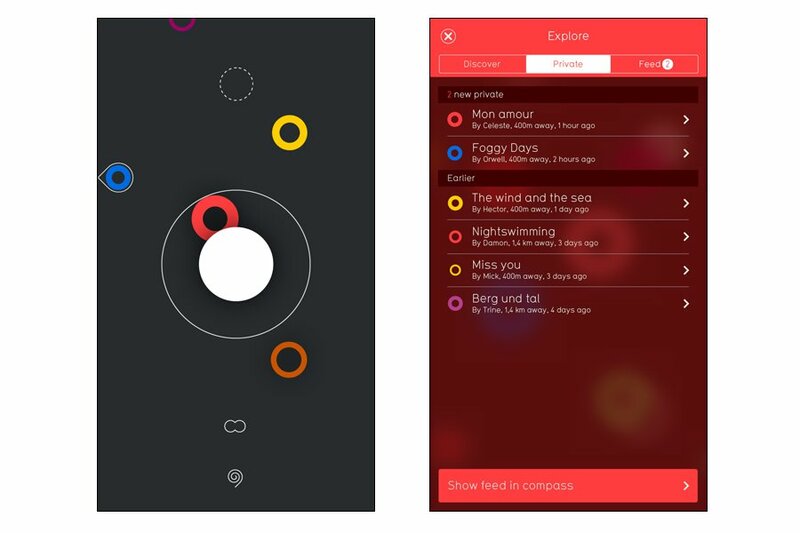 This app delivers continuous soundtracks in all of the above and more, programmable to turn off or as alarms, if you're the sort of person who can fall asleep and wake up to the same soothing sound. 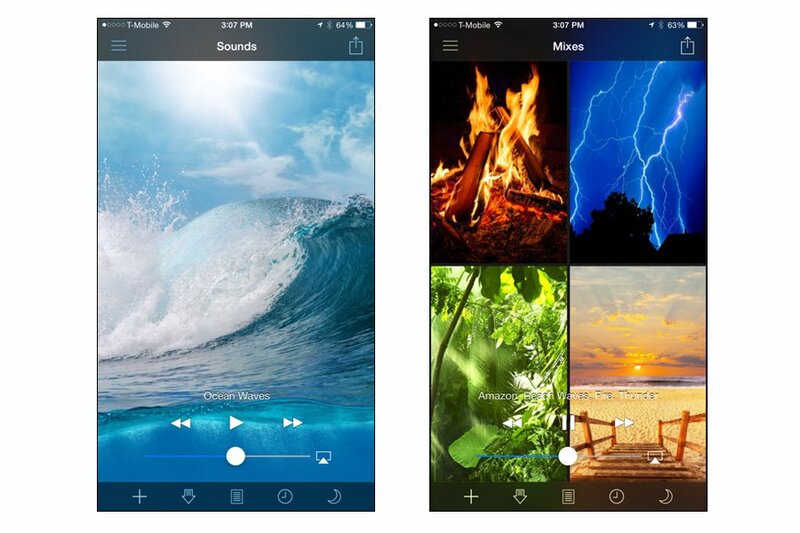 The app could also do double duty as a distracting soundtrack for meditation sessions. 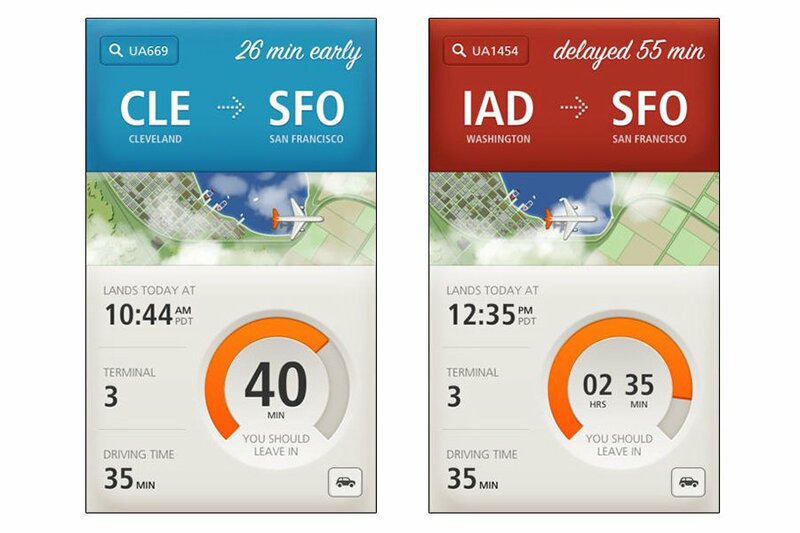 What's to love: At last, an app that delivers on something we really need: price predictions for airline tickets. 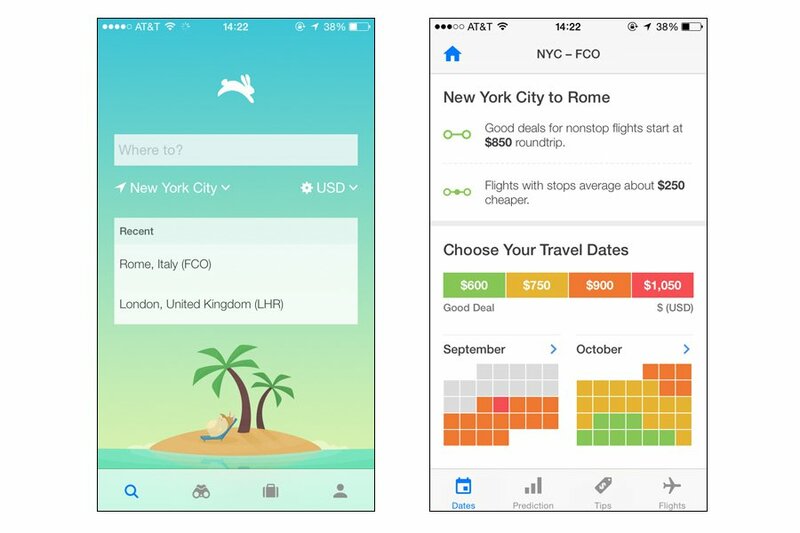 Tell Hopper your destination and rough dates, and it will tell you when you should book for the best rates within a few months' range, predict whether rates will rise or fall, and list airfares on your chosen dates. Alerts that tell you when prices drop take some of the guesswork out of the nightmare of booking airfare. What's to love: An encyclopedic and customizable directory of airport lounges around the world, with locations, hours, services, and ratings. Save a profile with details about your credit cards, elite status, and lounge memberships programs. When you enter a flight, Loungebuddy tells you which lounges you do and don't have access to. It even lists guest fees. If you are coming up empty, it sells access to many lounges. The app is pretty, if not as intuitive as it could be, but the feature set is great. What's to Love: Take the stress out of road tripping with a reliable source for affordable tows, tire changes, and jump starts. It's as easy as pressing a button. No, really. And their average wait time is 15-30 minutes. Bet AAA can't top that. 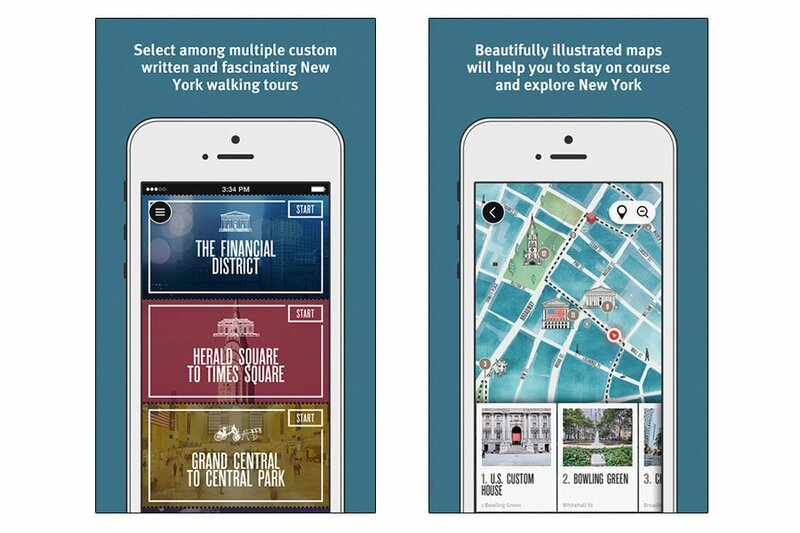 What's to Love: See the Big Apple in a new light with digital walking tours that feature hand-picked locations, beautiful watercolor-style maps, and interesting facts you won't find elsewhere. The current list of neighborhoods is small (The Financial District, Soho, Greenwich Village, Herald Square to Time Square, and Grand Central to Rockefeller), but growing. What's to Love: Want to turn your favorite Instagram photos into a money-making way to finance your travels? Start licensing them through this app, which makes it super easy to post and share your pictures with brands, agencies, and designers in need of inspiring travel content. Every day they request different topics, like best new photographers and tropical vacation. What's to Love: Tracking the number of steps you walked from the Eiffel Tower to Le Marais makes it a whole lot easier to indulge in that extra crèpe. 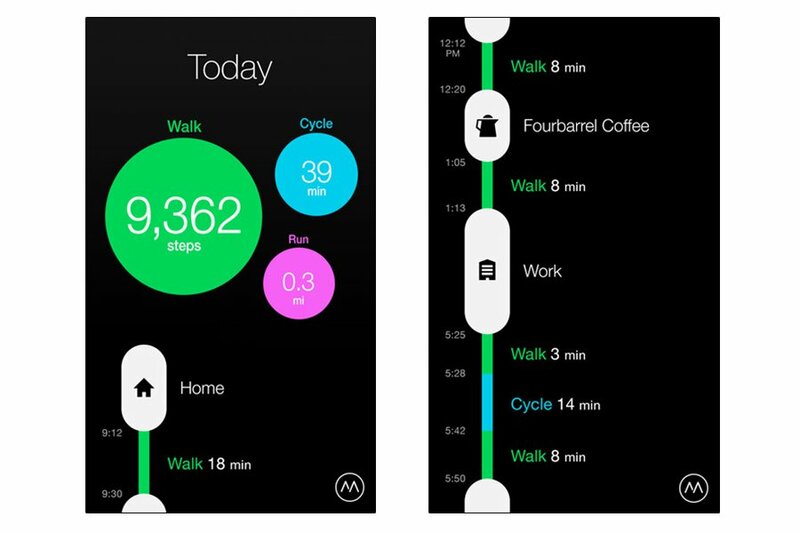 Moves records the number of steps you walked, ran, and cycled each day in a nicely designed and easy to understand interface. What's to Love: Take the guesswork out of airport pickups. Just Landed monitors flights and traffic to give you an estimate of the best time to leave to pick someone up, along with terminal and gate numbers on a simple, easy to read interface. What's to Love: The airport process can seem like one long line after another. 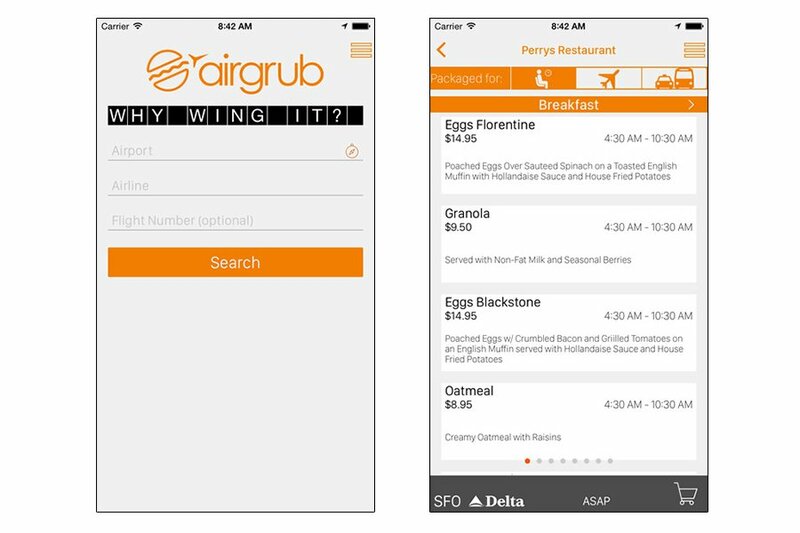 AirGrub is angling to fix that with a new app that allows users to order and pay for carry-on meals from available restaurants and menus in a terminal. No waiting on line, no missed connections, no going hungry. 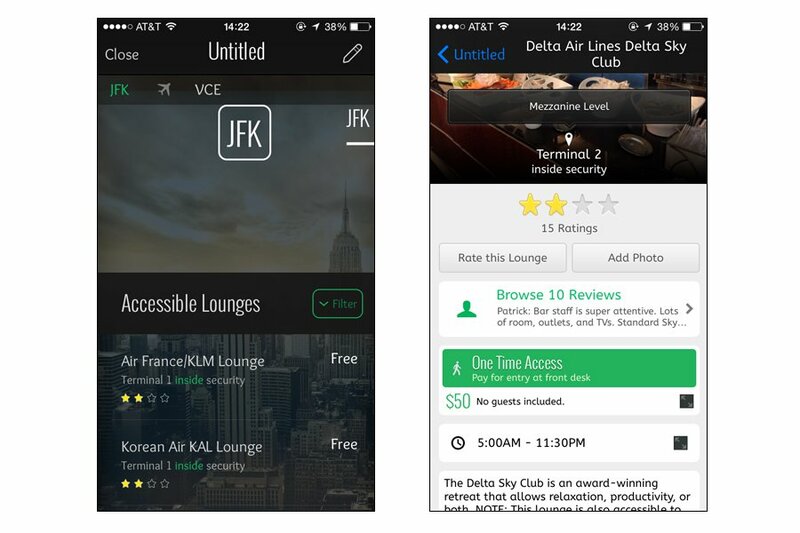 Recently launched, it only covers SFO, JFK, and BOS and doesn't yet include every restaurant, but we're excited to see to see them expand far and fast. What's to Love: Find someone just as crazy about dogs to care for your pup while you're on vacation. 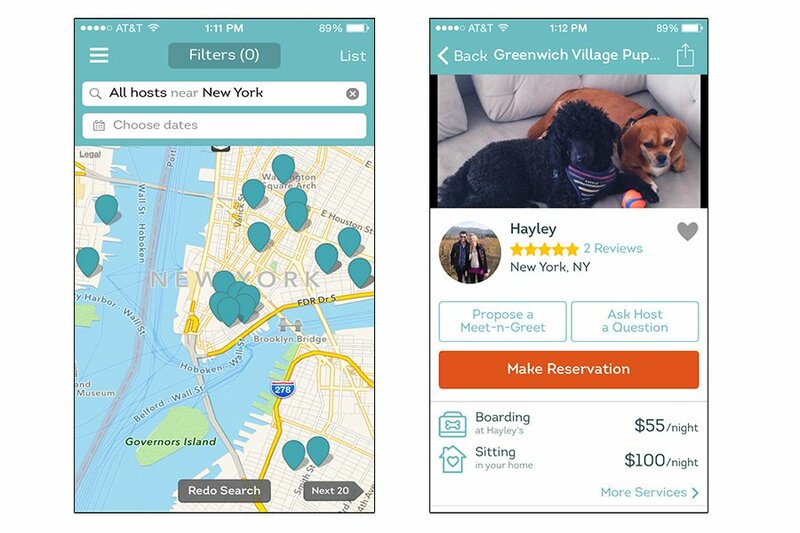 Dog Vacay allows pet owners to search for and book dog sitters in their area. Reviews, ratings, and daily photo updates ensure peace of mind. What's to love: Photo translation à la Google Translate for Asian languages. 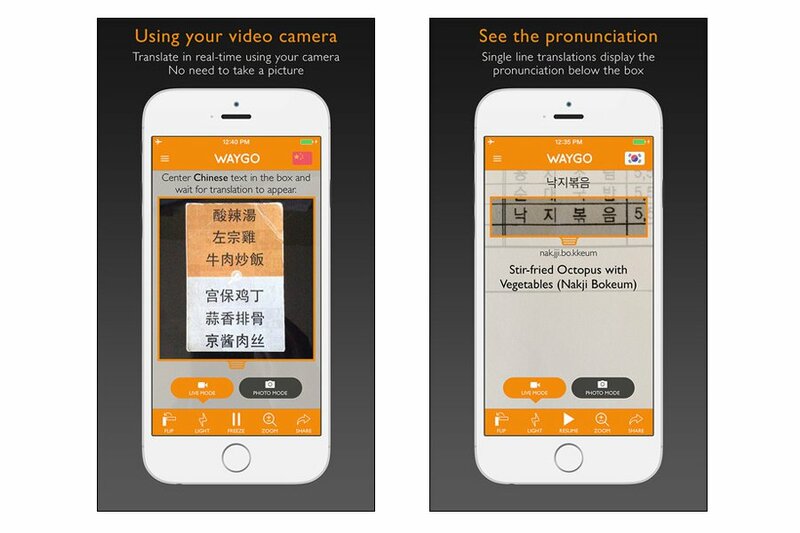 Hold the phone camera up to anything written in Chinese, Korean, Japanese, and you'll see a translation on the spot. The app also stores your personal translation history and up to ten unique translations per day for free. (Or upgrade to unlimited use for $6.99.) The app works best with a few words at a time, so stick to road signs, store signage, menus, and the like. 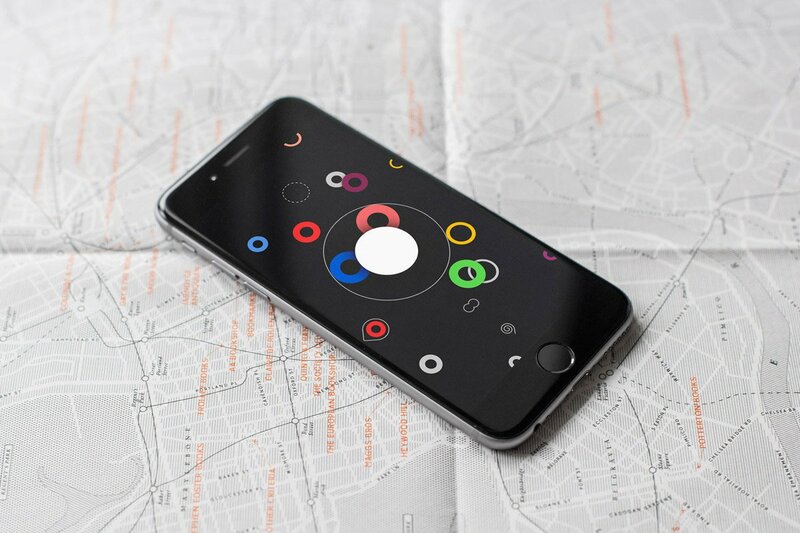 What's to love: Leave a voice message tied to a location or hear what others recorded in the same place. Listen to an impromptu live performance in Washington Square Park, a poetry recital on the Southbank of the River Thames, fireworks, a short story, a treasure hunt. 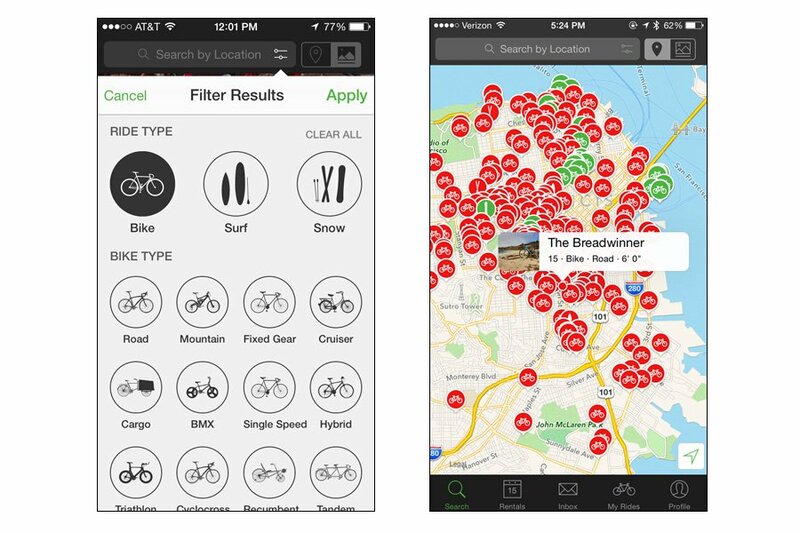 It's a unique way to explore new cities or rediscover your own neighborhood. What's to Love: Just how fast are you driving along the autobahn if you're doing 120 kph? As for that spaghetti dinner, does weighing 63 kilos mean Sicily is good or bad for your waistline? And will a 500-square-meter room be roomy enough for your family? Such foreign conversion questions become a breeze with Converter+, a free app that calculates distance, weight, velocity, and temperature, among other travel arithmetic like currency conversions, tips, and mortgage (so you can buy and finance your new vacation home). What's to Love: As the ride sharing community (and technology) grows, it's becoming easier and easier to track down transportation from wherever you are, whenever you need it. 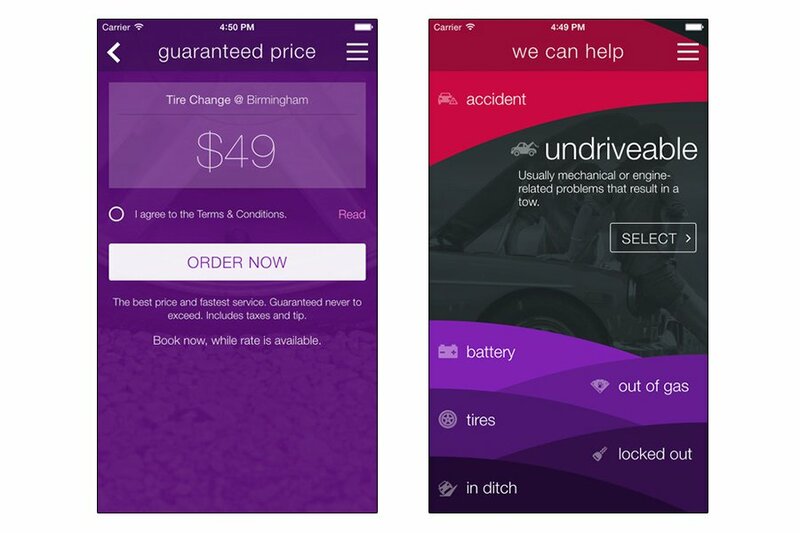 RelayRides works like Airbnb for automobiles. 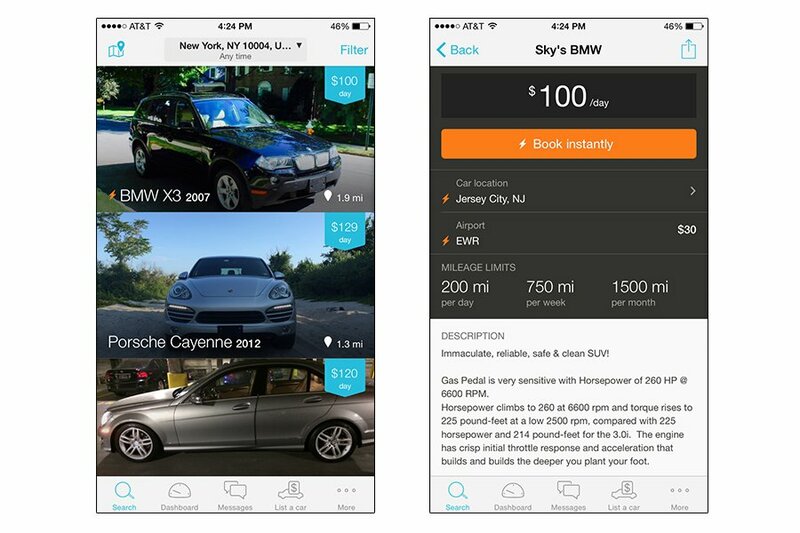 You list your car and its availability, pick-up and drop-off points, and cost per day. Travelers get to choose the ride that suits their needs and have a car dropped off in front of them.